Two weeks ago, I received an offer from Rebecca of Chow and Chatter to write a guest blog for her. Since she shared quite a few of my recipes on Twitter, it was such an honor to be her guest blogger. Head out to her food blog and check out my post on Basil Pesto Chicken Pizza with Pineapple. Thank you, Rebecca! 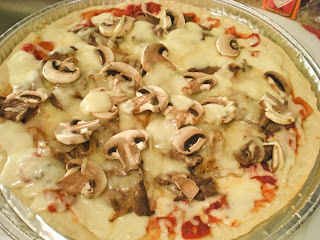 In order to avoid a duplicate post, I'll be posting my Steak and Cheese Pizza recipe. 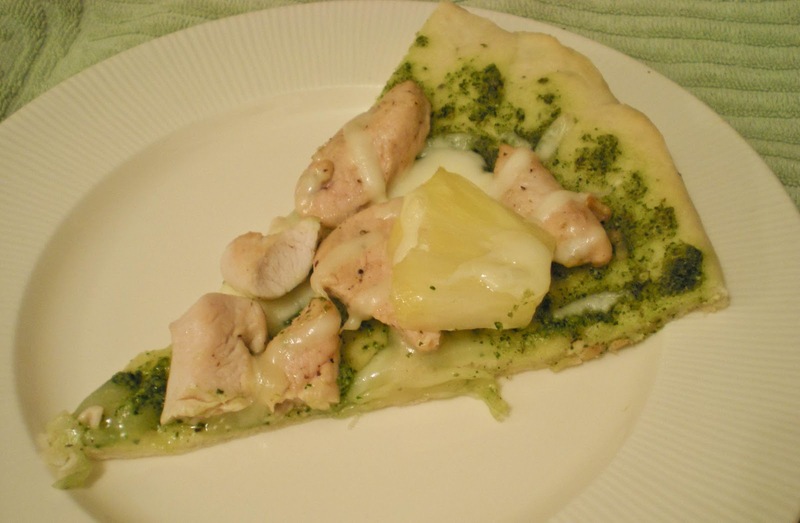 The procedure is very similar to the pesto chicken pizza where you prebake the pizza dough, cook the meat until it is a bit undercooked and finish the cooking process in the oven. Philly cheese steak sandwich is such an easy thing to make, all you need basically is to cook thinly sliced beef and caramelized the onions, bell peppers and mushrooms. You can use these same ingredients onto a pizza. Ever since I used chipotle peppers on the BBQ sauce, I have become more and more an addict to chipotle peppers because of its smoky taste. This time, I added some chipotle peppers to my favorite pizza sauce recipe. If you haven't tried making your own pizza, it is very easy to make and it can easily be made to your own liking. 1. 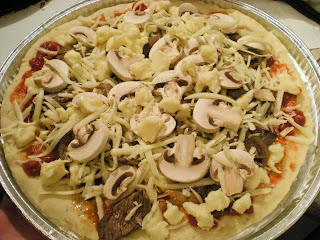 Prepare Chipotle Pizza Sauce. In a bowl, mix all ingredients and season with salt and pepper. Refrigerate for 1-2 hours or overnight to blend all the flavors. 3. 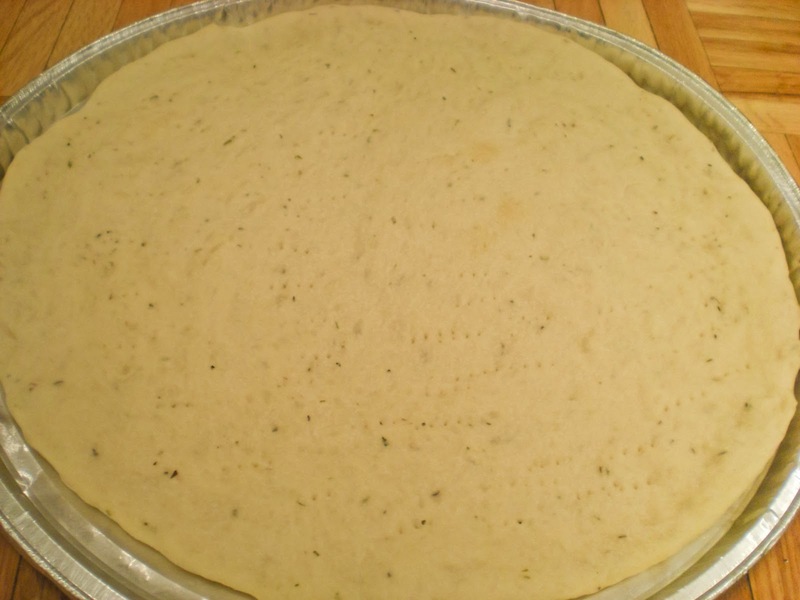 Oil a 12-inch pizza pan. Spread it onto prepared pan. Prick dough with fork. 4. 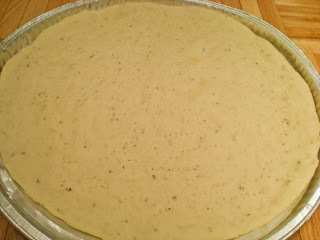 Prebake the pizza dough until it starts to turn brown, about 10-15 mins. 5. Meanwhile, in a skillet, heat oil over medium-high heat. 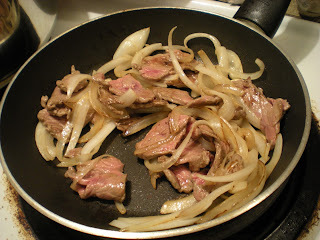 Cook sliced beef until it turns brown and still a bit pink in the middle, and onions until transparent. 6. 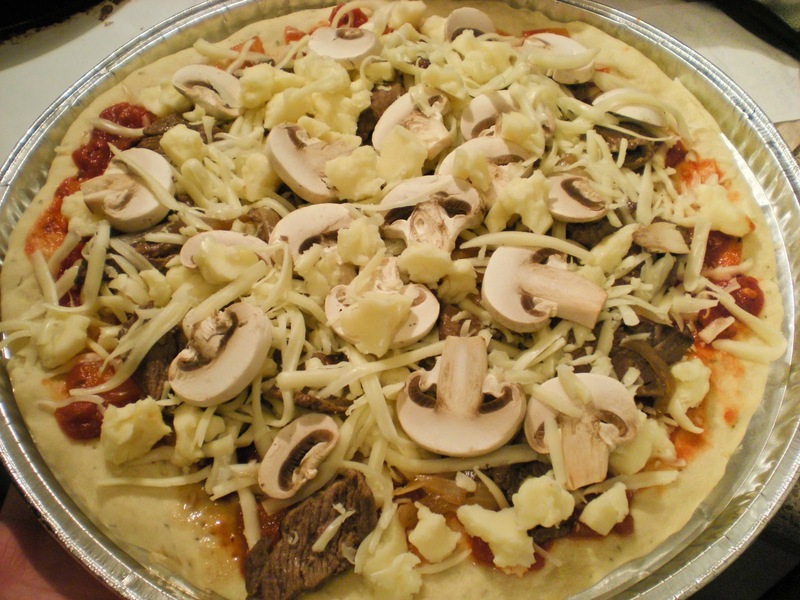 Spread chipotle pizza sauce onto the prebaked dough. Top with beef, onions and mushrooms. Sprinkle with cheese. 7. Bake for 10 mins until the cheese has melted. 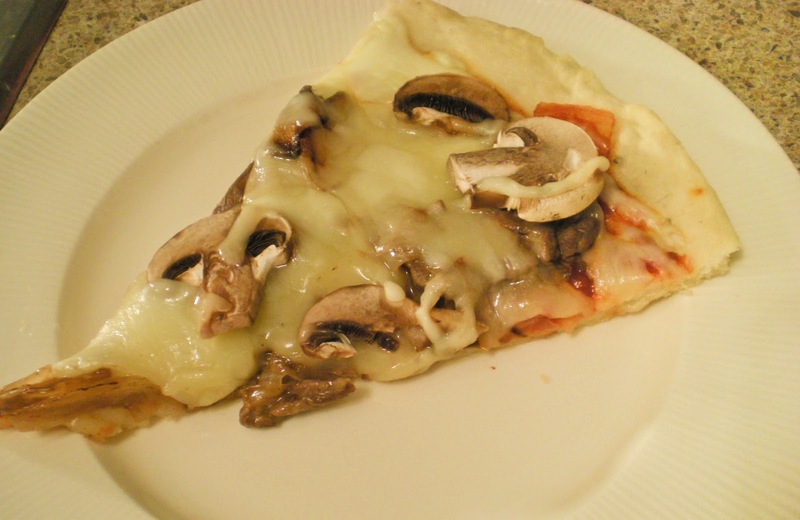 Omg, delicious and irresistible pizza. Hi Victor. Great guest post at Chow and Chatter. 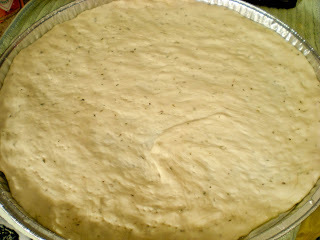 I love pizza and haven't tried making my own dough yet. It's on my to-do list. They look absolutely delicious... Great guest post. I just came for Rebecca's blog and had to visit you again.What a great looking and sounding Pizza.You do have great recipes; I have been checking you out. Oh, yum! That looks fantastic. i just hopped over from chow and chatter, that's a great post you're sharing. it's really nice to have those cooking sessions and sharing experiences with one another. Both pizzas look great! This pizza is very interesting. Going to try it this weekend. The pizzas look wonderful Victor! Very nice photos too! Yay, pizza! I have an Italian friend who is horrified by the number of toppings people in North American put on their pizzas, but I think it's part of the fun sometimes! I like the idea of chipotle pizza sauce. Great guest post over at C&C. so many wonderful pizza's and so little time! The big question is do you deliver? Love the flavour of chipotle but have never thought of putting it in a pizza sauce. Great innovative idea!